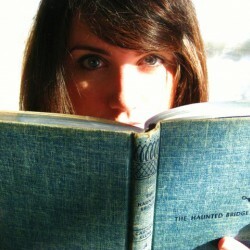 Originally, I found this book while looking for the author's sophomore book, [b:Eleanor & Park|15745753|Eleanor & Park|Rainbow Rowell|http://d.gr-assets.com/books/1341952742s/15745753.jpg|17225055], but my local library only had the audio book, not the e-book. So I borrowed this one instead. 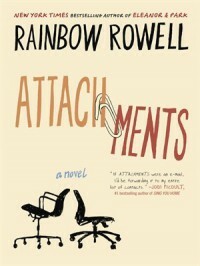 I'm so glad I ended up reading [b:Attachments|8909152|Attachments|Rainbow Rowell|http://d.gr-assets.com/books/1347652311s/8909152.jpg|13785503]. I love books told with epistolary style. It just adds a uniqueness to the story. It reminded me of Meg Cabot's Boy series, but less girly chick-lit.I feel in love with this book from start to end. I devoured it. You have two best friends, Beth and Jennifer, just wasting time at work by chatting about their day, and Lincoln, a newly grad sifting through their emails. As the story progresses Lincoln falls for Beth, even though she has a boyfriend.I loved how Lincoln was able to surf the Internet as much as he wanted to but the newspaper was so concerned about the rest of the employees' work productivity. Throughout the majority of the book Lincoln is lonely....I was finally done with school. That's when all my friends got lives, after they graduated. That's when they got jobs and got married.Lincoln is a perpetual student and finally decided to join the working force. He feels like his life is passing him by and doesn't know how to start his life. He still lives with his mother and doesn't have any relationship prospects in sight. He reconnects with his old friend Justin, who is a character. Justin is brass and crude, but somehow lovable. He did seem to reminisce a lot about his ex, Sam, who dumped him in college.I definitely recommend this book to anyone who likes light fun novels.